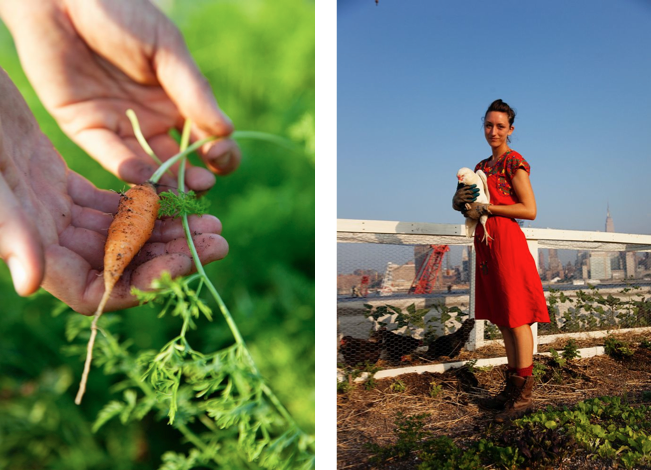 Annie Novak is an agriculturalist who started the Eagle Street Rooftop Farm in Brooklyn. The 6000 square foot organic farm looks across the river to Manhattan. 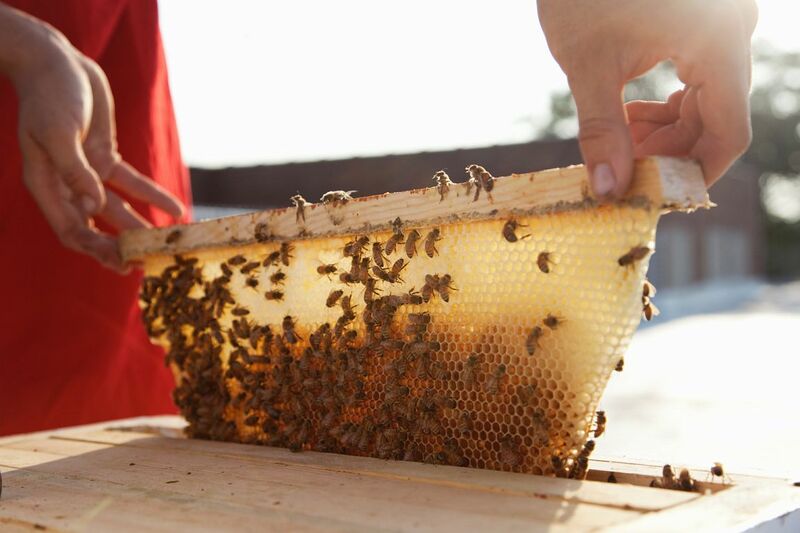 It’s a pretty spectacular combination of big city and small scale farming. The Selby did a great piece on her farm and adjoining shop. Closer to home my friend Sean has just created his own miniature version of a rooftop garden at his place in Balmain. Sean is currently studying architecture but has also studied landscape architecture and urban design. He’s spent some time working on a farm and has a keen interest in agriculture. Sean was “interested in growing food in unused space”. 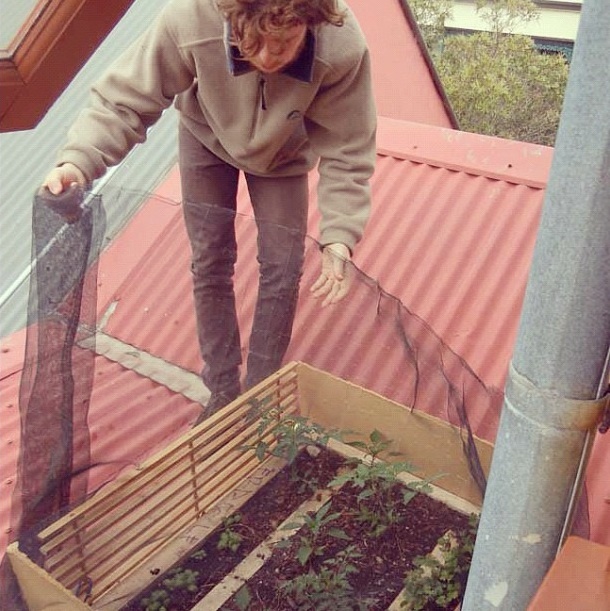 He says that he has “always gotten a satisfaction out of growing and eating my own food, and over time also realised the issues in our current food system.” This is his first rooftop garden and he learnt that the exposed nature of the space meant that he needed to create a protection from the wind which he did using found materials, along with the rest of the structure. He’s currently growing chillies, basil, coriander and thyme. There is a big movement towards urban farming happening at the moment in Sydney and around the world. 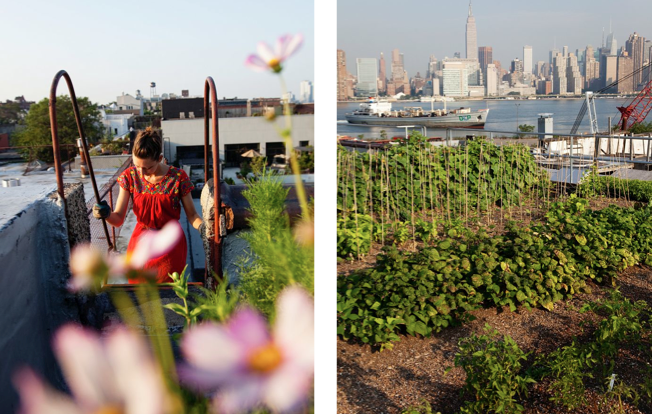 All photographs of The Eagle Street Rooftop Farm by Todd Selby. Photo of Sean by Julia Rush. And thanks to Sean for sharing his garden!